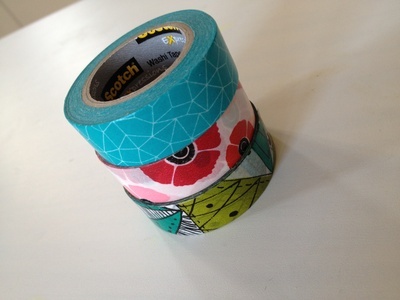 With it's origins in Japan, washi tape is now a popular crafting item all over the world. Originally it was made from rice paper with a masking tape back and you can still buy this. However, you'll also find a more plasticated version on the market which is essentially sticky tape with a colourful pattern on one side. You can simply use washi tape to make wrapping of presents more interesting or go a little further and use as an interesting craft supply. There are lots of washi tape craft ideas about. 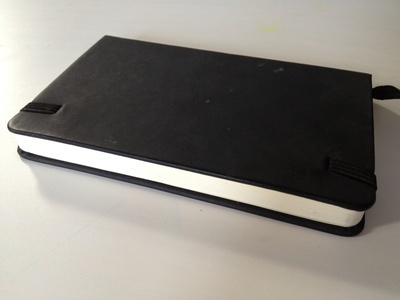 Here's a simple way to make a simple notebook so much more interesting. Have a look at what washi tapes are about and choose one or more patterns that you like. If you are going to use several tapes, check that the colours and patterns complement each other. 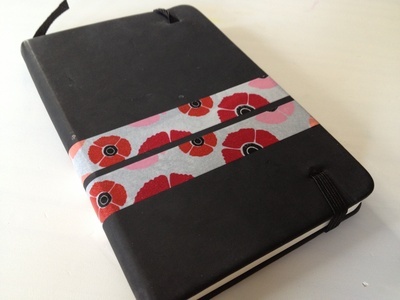 Choose a simple notebook without any patterns to decorate. Plain notebooks are often cheap or given away as promotional items and jazzing it up yourself is much cheaper and more fun than buying a fancy notebook. 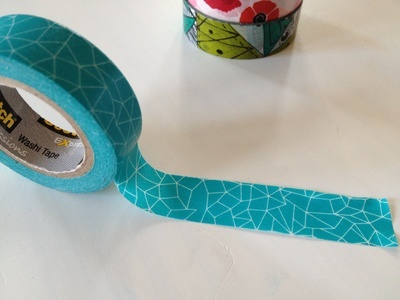 Apply strips of washi tape in any pattern you like. I decided to go for a couple of simple stripes going in one direction. I love this - an elegant kind of funky that's done in a flash! :) I could definitely see a pile of these on my desk.